I didn't think it was possible to experience culture shock in your own country; I feel stupid for being so narrow minded. Despite the fact that I have traveled a lot within the US, clearly I haven't been everywhere. 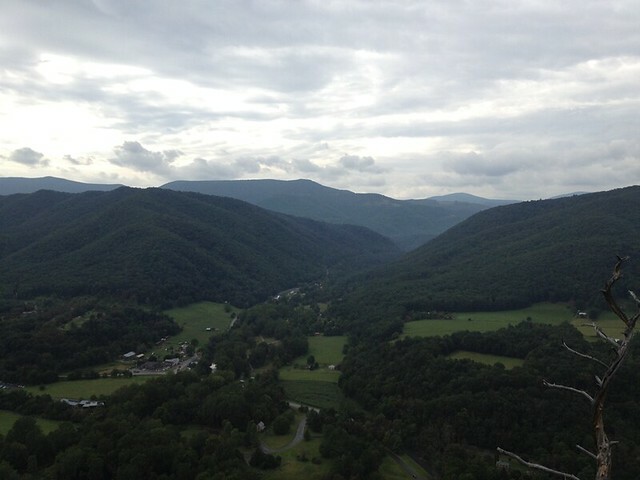 Last Thursday we made a rather impulsive decision to join Jesse's old Philly friends camping, caving, and hiking in West Virginia. 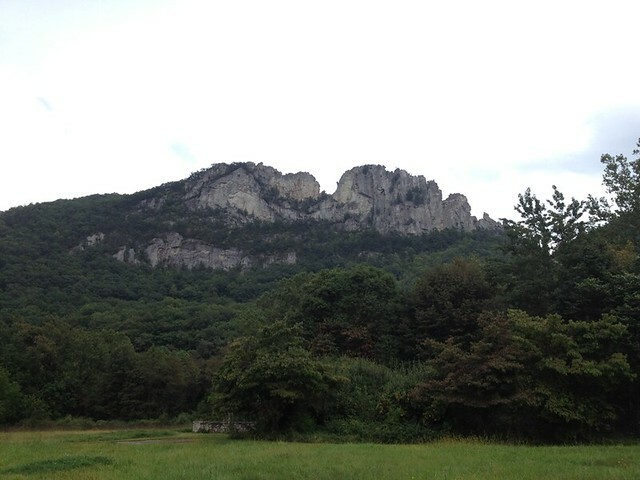 We stayed at a campground in Seneca Rocks - it was a 13 hour drive from Boston. Even for a holiday weekend, I'm not sure what we were thinking. But I'm really glad we went. I was in WV once before, so it was neat to go back. 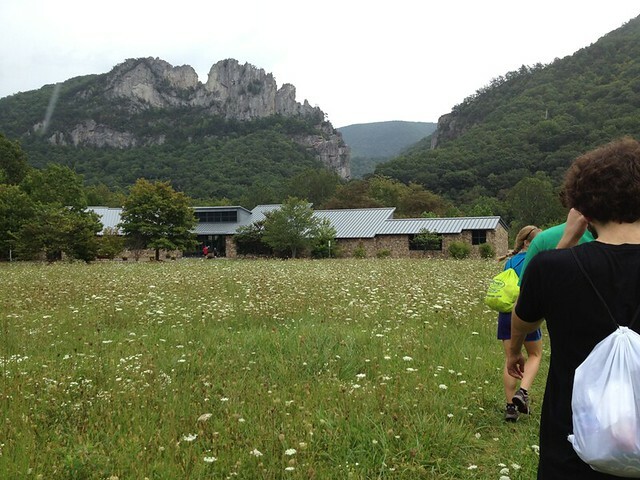 There was no phone reception: a great change of pace to make you realize what's important. 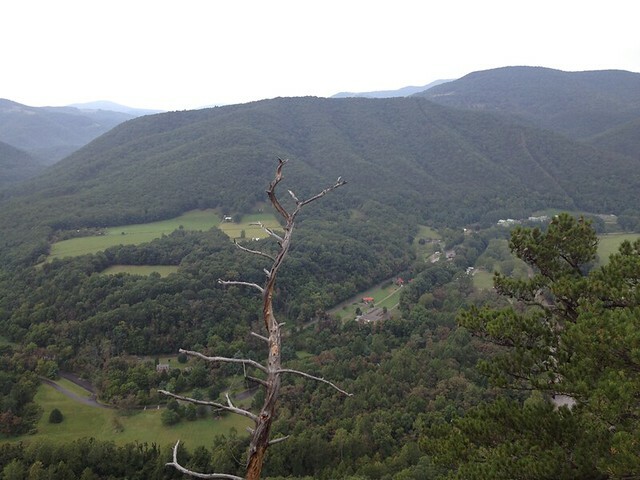 We hiked up the mountain across from our campground - and it was hard!! I don't think I've ever sweated so much in my life. My lungs still hurt the following day. But it felt like I was finally doing something. I chickened out on climbing all the way up to the cliff edge on top (well, the park sign did say to stop, and reminded us that 15 people have died there since the 70s!) - but maybe next time. After the hike we swam in a swimming hole beneath the mountain. There was a tiny general store and a small restaurant we ate at that night. The last night there were a few people on the camp ground tripping on who knows what - one tried to open our tent - flashlight in one hand and light-saber in the other, I'm not joking, it was creepy as hell. We were in the middle of nowhere in the best way possible. We planned on joining everyone the following day to go caving, but I had to turn back because one hour of windy dirt roads made me car sick. Next time I hope to rise above that and be more steadfast. The thing about being around outdoorsy types is it makes you inspired. It was weird to drive back into the city today - the whole trip made my life feel so much tinier and made me realize there's so much out there to do.